She is available by appointment only for Central Florida clients. Also, West Michigan clients IF she’s in town visiting. Jena is one of the biggest Disney fans! She enjoys sharing her knowledge and enthusiasm with her clients. She is from Zeeland, Michigan, but recently moved to Central Florida. 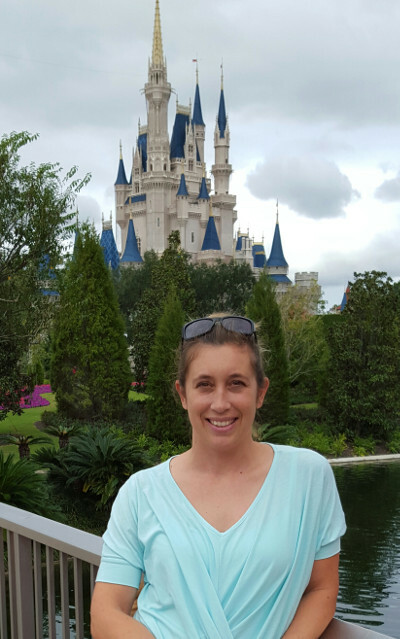 A short drive away from Walt Disney World®, Jena experiences ‘all the latest’ happenings. Because of her up close and personal view of the Magic Kingdom, she is the perfect person to plan a vacation. Let her help your family experience ‘The Most Magical Place on Earth’! Her organizational skills, and diligence, creates family vacations unique to every client. She has a large family of her own, so she’s a pro at planning Disney Destination vacations. Do you have teenagers in your mix? She can relate, and is able to make the family trip exciting for all. Jena is the only Outside Sales Agent that is available to connect with clients via Facebook. She welcomes communication via e-mail and phone as well.